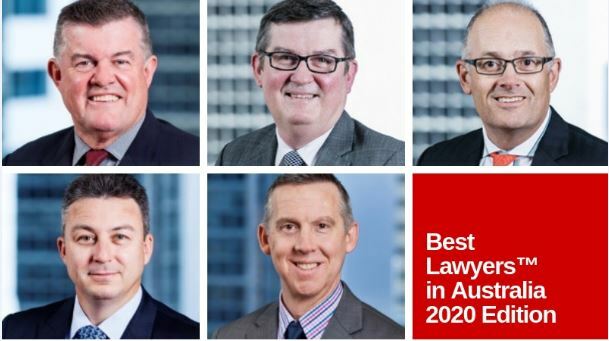 Mullins is pleased to announce that five of our partners have been recognised in the Best Lawyers™ in Australia - 2020 Edition released in today’s Australian Financial Review. Our partners Michael Klatt and Paul Lutvey have been recognised for the fourth year in a row. Managing Partner Curt Schatz and Partners Patrick Mullins and Cameron Seymour were recognised for the third year consecutively. Best Lawyers™ is the oldest and most respected peer-reviewed guide to the legal profession in the world. The Best Lawyers lists are compiled by conducting exhaustive peer review surveys in which tens of thousands of leading lawyers confidentially evaluate their professional peers.